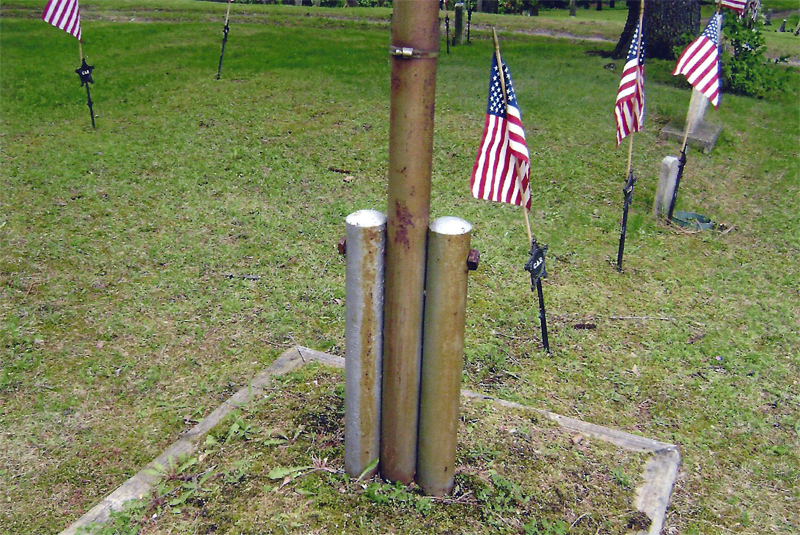 Flag Pole of unknown origin placed in the center of the GAR plot on the west side of the cemetery near the middle entrance off of US 131. The cemetery plot was purchased on January 20, 1893 for the GAR by C. H. Sinclair of GAR Post 444. 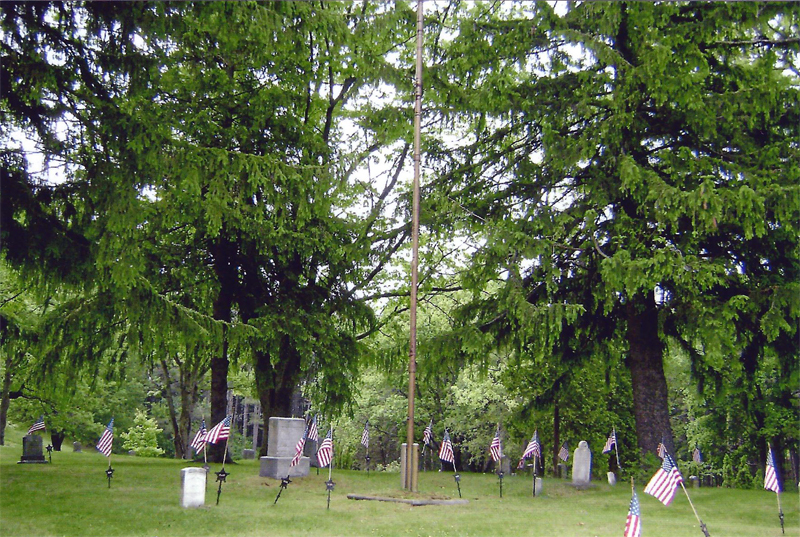 The flag pole was in disrepair as off May 2012.